PARIS (VIP NEWS) — In the first quarter of 2013, French digital music sales fell 5.2% to €30.9 million according to SNEP, the French recording trade group. Digital sales made up 29% of the country's music market, which during the same period fell 6.7% overall to €117.9 million. SNEP partially attributes the drop in sales to a disagreement between SACEM, an organization representing songwriters, composers, and music publishers, and YouTube France, whic in Q1 stopped monetizing musical content. The two parties have since signed a global licensing agreement that won't impact digital music until second quarter. Physical sales, according to the report dropped 7.3% to €77 million. 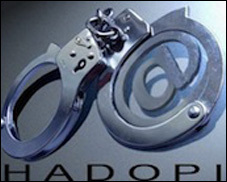 The report comes on the heels of several studies confirming that French anti-piracy body HADOPI has not been effective at combating music piracy, including one report that says since 2010 visits to illegal music download sites has risen 7% to 10.7 million visits. According to the aforementioned New York Times article, Pierre Lescure, the former president of pay-television company Canal Plus who oversaw a report on digital policy for the French government, suggested that HADOPI should drop the practice of"disconnetion," or cutting off offenders' internet access, and replace it with a €60 fine, which SNEP Chairman and Sony France CEO Stéphane Le Tavernier suggested should be raised to €120, or a year of subscription to a music service.